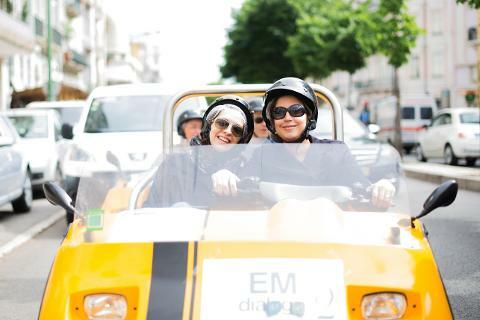 Drive the streets of Lisbon on a 1-hour GPS guided tour. The fun yellow convertibles will help you to get to the most magnificent landmarks of Lisbon on the west side of the city! Discover the sights of Lisbon from a new perspective on an amusing 1-hour GPS tour! 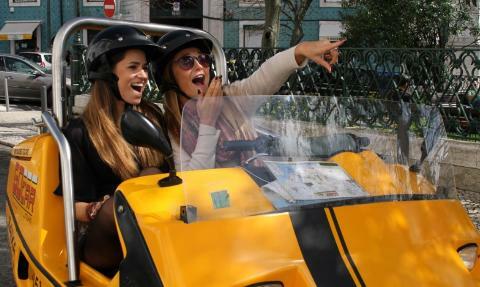 These yellow and cool convertibles have an advanced navigation system that provides friendly directions and historical explanations so you can relax and enjoy an easy-going tour in Lisbon, one of the most charming cities in Europe. 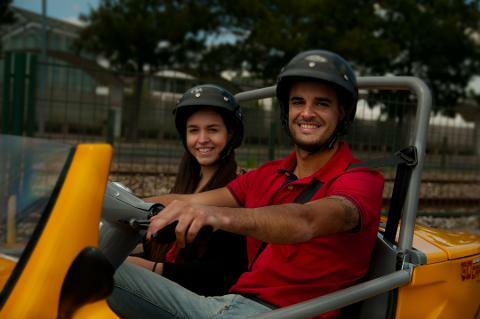 Rent a GoCar and you’ll find your way to places that few visitors get to see! This tour takes you through some of the most emblematic monuments and places in town, including: Casa dos Bicos – José Saramago Foundation, the Fado Museum, the National Pantheon, the flea market area (which takes place every Tuesday and Saturday), the Graça Church and Convent (and its viewpoint), the Portas do Sol and Santa Luzia viewpoints and the Lisbon Cathedral. - €100,00 deposit, in cash or credit card. to 24 hours before the booked starting time.